what is the risk in totally turning off my firewall and just relying on windows defender and free avg ??? I'm not knowledgeable enough about Windows security, but would not recommend turning your firewall off. If you're getting a firewalled icon then it's usually either due to no firewall exception (or needs to be re-added) or UPnP is failing. If the latter then you may need to port forward for the port it uses. But it needs to be a port no other application uses, including any other file-sharing program. 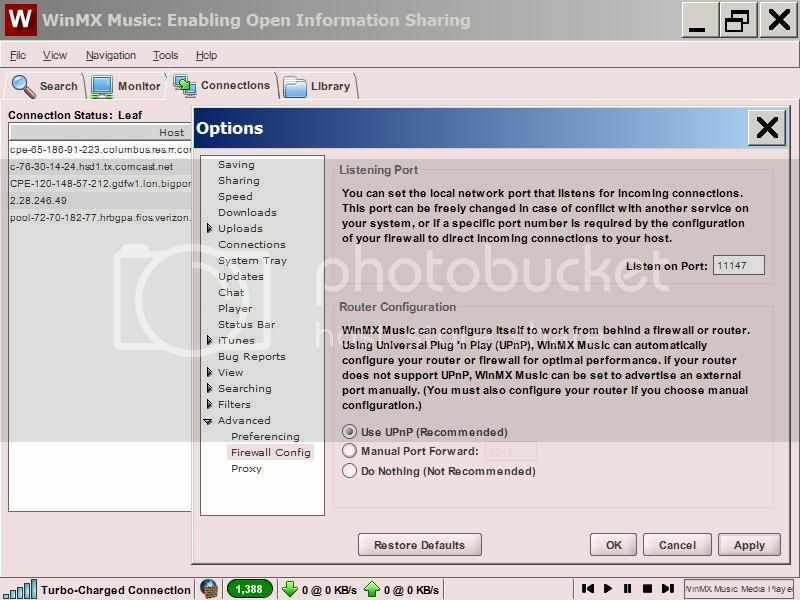 Do LemonWire and WinMX Music use the same ports? Make sure they don't. 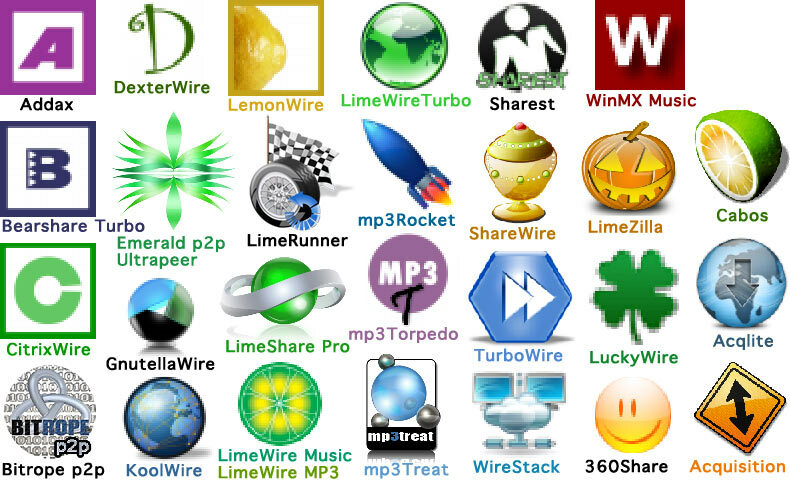 Optional: I don't have the most recent WinMX Music installer but used the following one & it then said there was an update and it updated itself from memory. There's nothing in my Downloads folder. 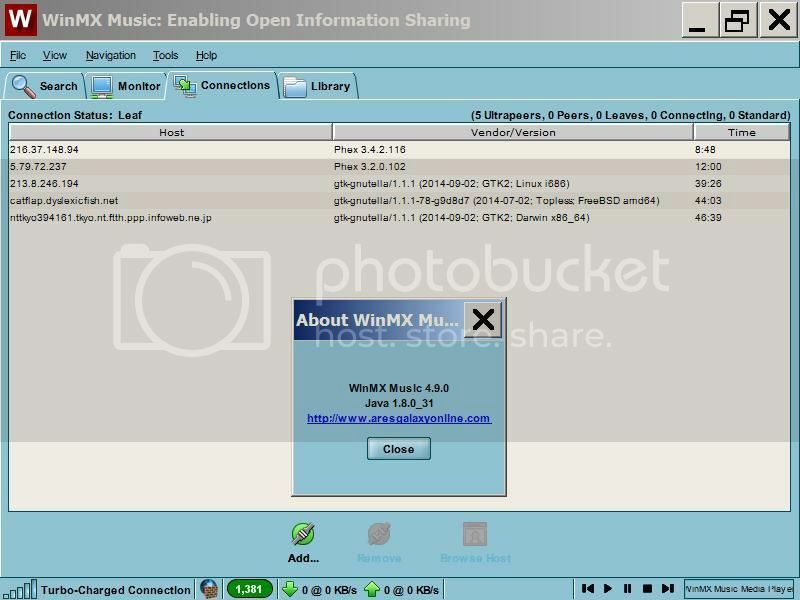 WinMX Music free, but note this is the old version. After installing it will ask if you wish to update & an installer will temporarily download. I don't know if your AV will panic with it though. Just be careful of the installation steps, so watch it carefully. There's many 3rd party installation options (between 6 to 8 of them.) I clicked Decline to all of them. You could try port forwarding for WinMX (and LemonWire) if you wish to see if that fixes the 'firewall' problem. You have one or two software firewalls? If you have a 3rd party one then the programs will need to be added as exceptions to them.